Il team Kunos Simulazioni ha da poco rilasciato tramite Steam il nuovo aggiornamento v1.13 per Assetto Corsa. L'update, molto atteso dagli appassionati del simulatore made in italy, porta con sè numerose novità, come le tre vetture completamente gratuite: la Mazda MX-5, Mazda 787B e Porsche 911 RSR 2017 (quest'ultima solo per coloro che hanno acquistato il Porsche Pack vol. 3). La release 1.13 ci offre però anche il supporto ad Open VR e Vive, migliorie per Oculus Rift, features inedite per il multiplayer che permettono la gestione delle gare Endurance e delle gare a tempo, punto debole del titolo fino a questo momento. Per commenti e discussioni fate riferimento al forum dedicato. "We're pleased to announce that Update v1.13 is available to download on Steam NOW, featuring the Mazda MX5 NA and the Mazda 787B as FREE bonus content. But that's not all! Update v1.13 also natively brings the long-awaited OpenVR / VIVE support (beta) and some fixes for Oculus users, as well as many new multiplayer features, including reversed grid races and mandatory pits with pit stops strategy presets! Check out the following changelog for all the improvement and fixes! - Updated Fanatec library to support new wheel bases. - Fixed possible CPU warning when player gets retired. - Added reversed grid races: The race session will be restarted in reversed grid order based on the standings of the previous race. Players disqualified in the first race will start from the back of the grid in the second race, regardless of their position being within the reversed grid range. - Added locked entry list in pickup mode: same as in booking mode, only players already included in the entry list can join the server (password not needed). - Added car Steam ID sharing in entry list: each car in the entry list can feature multiple GUIDs. Players can share that car (one at once). The name inserted in the entry list is used as driver name. - Fixed server result log not displaying invalid laps. - Fixed end-of-race session status for lapped players in lap races. - Added Mandatory Pit: A pit window can be added to the race session. As a design choice, players need to stop at their pit box within the pit window to have a valid pit stop. Players with pit boxes further down the pitlane need to take this into account before deciding on their strategy. Players may make additional pit stops before and after the pit window, but only making a mandatory stop in the indicated pit window will validate their race. Server admins must decide on a pit window that allows all players, regardless of their pit box position, to comfortably make a pit stop under normal racing conditions. SERVER SRZ ONLINE PER ASSETTO CORSA! ASSETTO CORSA: UPDATE #4 SU STEAM! ASSETTO CORSA: UPDATE 1 DISPONIBILE! 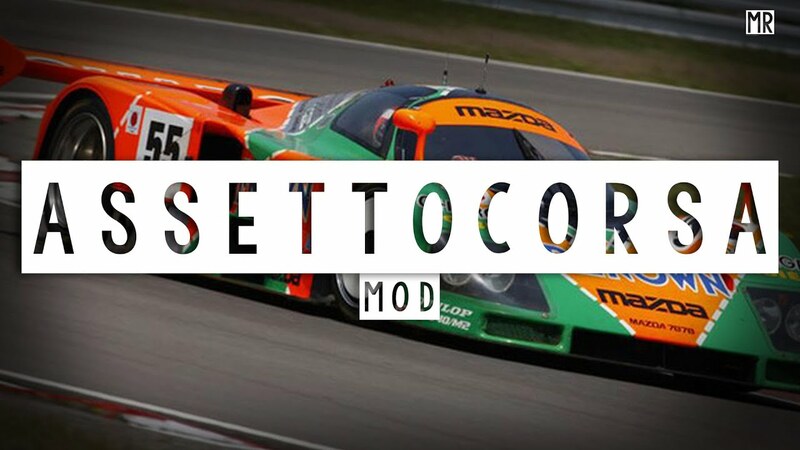 ASSETTO CORSA E' SU STEAM!